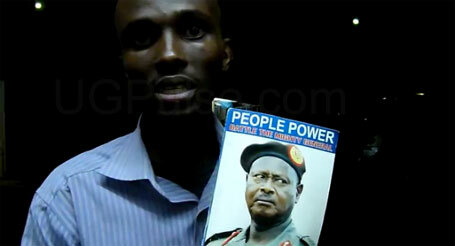 Museveni's Win in the 2011 Elections: What Does it Mean For Uganda's Politics? Uganda Elections 2011: Why is Museveni and his NRM securing such a high performance in elections and what are the implications to Uganda's future? Uganda's political future has become more intriguing following the overwhelming victory of the ruling National Resistance Movement in the 2011 Presidential, Parliamentary and Local government elections. Incumbent President Yoweri Kaguta Museveni secured another term in office to extend his rule to 30 years, with a commanding victory. The Electoral Commission declared Museveni Museveni winner of the presidential polls with 68.38 per cent of 8, 272, 760 total votes cast. The dismal performance of the opposition including main challenger Col Dr. Kizza Besigye of Inter Party Cooperation/ Forum for Democratic Change in a peaceful election after a peaceful campaign period has surprised and is concerning many political commentators who mixed fortunes for both the NRM and the opposition. Why the Dismal opposition Performance? According to Electoral Commission statistics, Museveni polled 5, 428, 369 votes, while Dr. Besigye obtained 2, 064, 963 (representing 26%). Many analysts had expected Besigye who got 27% in his first presidential bid in 2001 and 39% on the second try in 2006, to improve his performance in the 2011 election given the seeming reducing support by the ruling NRM government and its leader President Museveni. By getting 76% of the votes in the fist 1996 Presidential elections, 69% in 2001 and reducing further to 59% in 2006 elections, many political analysts had expected Museveni to get an even lower performance, that some predicted might lead to a second round as the progressive decline indicated Museveni might fail to get the required more than 50%. The arrival of new kids on the block especially the youthful Nobert Mao of the Democratic Party, Betty Olive Namisango Kamya of the Uganda Federal Alliance and elder NRM deserter Jabeli Bidandi Ssali was expected to further shake off support from Museveni, but to everyone's surprise, the NRM strongman has emerged with more support and a victory many are finding hard time to credibly dispute. Mao whom some called the Obama of Uganda polled a meager 47, 708 votes (1.86%), Olara Otunnu of Uganda People's Congress got125,059 (1.58), Beti Kamya got 52,782 (0.66) despite her appealing federalism promises to return power and resources to local regional government. Dr. Abed Bwanika of the People's Development Party scored a paltry 51,708 (0.65) on his second bid at becoming Uganda President, while Bidandai of the People's Progressive Party secured just 34,688 (0.44) and Independent candidate Samuel Walter Lubega 32,726 (0.41). Museveni's competitors in the 2011 Presidential election have refused to accept the results declared by the Electoral Commission (save for Beti Kamya), but the writing was long on the wall since consecutive opinion polls by the Afrobarometer gave Museveni 64-65%. Museveni NRM has performed even better in the Parliamentary elections, getting 279 MPs from the 212 MPs the ruling party had in the outgoing 8th Parliament. With the 9th Parliament expected to have 50 more MPs than the 8th Parliament's 327 as a result of creation of new districts and new constituencies, the opposition has instead reduced its presence in the August house from 60 MPs to 56. The Electoral Commission results indicate that the ruling NRM party has secured 167 directly elected MPs, and 91 of the 112 woman MPs who each represent a district. FDC has 24 constituency MPs and 10 district Woman MPs (total of 34 that is less than 37 Independent MPs in the 9th Parliament), DP has 11 directly elected MPs, UPC got nine MPs while the Conservative Party has one and JEEMA won one seat. The story is not different in the Local Government elections either, with NRM so far securing more than 85% of the district Chairperson seats and more than 90% of the district Councilor seats (elections in Kampala, an opposition stronghold yet to held). The Lower local council elections (Sub-Country Chairpersons and Sub-county Councilors) are also expected to be dominated by the NRM. So why is Museveni and his NRM securing such a high performance in elections and what are the implications of this NRM dominance in the executive and legislature to Uganda's political future? The opposition has been steadfast in claiming the elections were not free and fair and had a lot of irregularities including ballot stuffing allegedly in favour of NRM candidates, voter bribery, voter intimidation by the army and the issue of a partisan Electoral Commission that they have stuck guns on since time immemorial. Besigye says the Dr. Badru Kiggundu led Electoral Commission which was appointed by President Museveni exists solely to "organise wins for Museveni and his NRM candidates". Otunu, the UPC Presidential candidate says the voters register was inflated, while the absence of voter IDs meant anyone could vote. He also says the EC changed the stations where some people were supposed to vote, to the extent that many people spent polling day trying to look for the right place where they were supposed to vote. Otunu himself failed to vote after finding his name missing at the polling station where he was registered to vote. But Paul Bekenya, the Deputy Spokesman of the Electoral Commission says the voters register was displayed in advance for people to check where exactly they are supposed to vote from, but some people did not check, waiting for the last day. "Some polling stations were divided and some transferred. We announced all this in advance and people affected were not from one political group," Bukenya says. He says the EC also provided the voter's register online for those with internet access to check their names and where they are supposed to vote from, and a free sms platform where people could send their voter id number to 8683 and get their details, including the poling station where they are supposed to vote. Even some players in the opposition agree that any disfavor the opposition might have suffered in the 2011 election should have been more from the ballot box than any disfavors by the electoral commission or rigging. This might explain why instead of claiming outright rigging with such a high performance by Museveni and NRM in the 2011 elections, the opposition leaders have cleverly put more blame of their poor performance on voter bribery and Museveni dishing out favors and promises as President while on the campaign trail. The opposition has mentioned the fact that the government had by December 31st spent 85% of the national budget for 2010/2011 half way as one proof that the NRM government has used public money to spend on government programmes but to help their election fortunes. Some people however say the opposition, especially Besigye concentrated on national issues of fighting corruption, introducing good leadership and better social services instead of local issues that Museveni concentrated on. For example apart from offering to build specific roads and grant specific new districts, Museveni took the campaign trail as a chance to explain what his government has distributed as part of the Prosperity for all or Boonabagagawale program, how he is fixing the National Agriculture Advisory Services programme, and answer queries raised by local people on real issues affecting them. 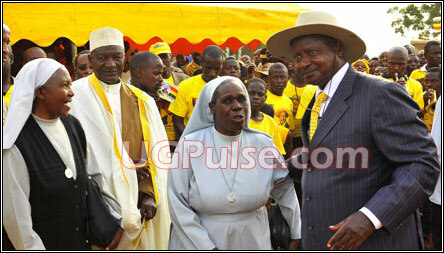 The NRM and their leader Museveni will no doubt have another five years ride at the helm of Uganda's politics. The victory in the 2011 elections has convinced the ruling party that it has massive support and they will not face any major hindrances in implementing their manifesto. But the opposition unsatisfied with the results of the elections might look for other options to injure NRM and Museveni's hold on power. Besigye, Mao, Otunu and Sam Lubega have already called for public protests, but whether this comes to pass is another issue. While Besigye has ruled out going to Court over the matter, Bidandi Ssali says they are considering challenging the election results in court. But it is unlikely that they can beat the 30 days deadline the constitution requires for such a petition to be filed from the date of declaring the results. Court absolves Museveni of wrongdoing, notes non-compliance of Uganda laws. Why every Ugandan should pay attention. What is next after the Supreme Court ruling on Besigye's petition? In History: Excerpts from Besigye statement after the dismissal of his 2001 Petition. On April 21, 2001, the Supreme Court dismissed Col. Dr. Kizza Besigye petition challenging the March 12, 2001 elections. The petition was filed on March 12. 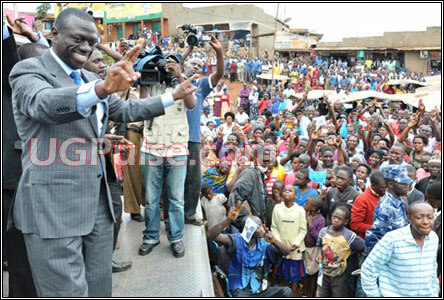 2006 Presidential Election petition: Is it enough to turn Besigye a true statesman? The Supreme Court rulings after the 2001 and 2006 elections will not give anyone in the opposition any energy to try the Court option. On both occasions, the Supreme Court ruled by a simple majority that while the elections were not free and fair and were marred by irregularities, such irregularities did not substantially affect the election results. With Museveni beating his opponents by an even bigger margin, such a ruling is more likely. It is not an understatement to say that the opposition in Uganda is now tired and can hardly venture a challenge at Museveni's NRM unless a rare dose of political medicine (yet unknown) is injected into opposition leaders or Museveni. "This 2011 election results have signaled an end to the opposition in Uganda," says Dr. Aaron Mukwaya, a professor of Political Science at Makerere University. He says the overwhelming defeat the opposition has suffered mean the opposition will not be effective at any level of governance and their views will not matter in the politics of Uganda as the NRM will pursue mainly its majority agenda. "This is an absurd situation since the NRM or any ruling government benefits from a strong opposition. 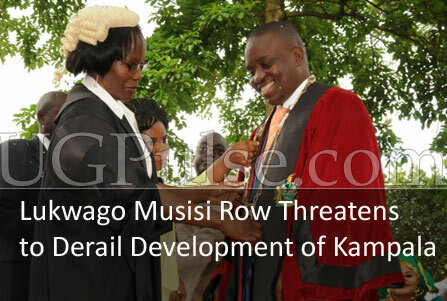 The government will not get the necessary guidance it needs to keep on track," Mukwaya says in an interview. There seems to be a high sense in the opposition that whether they agree with the results or not, the NRM has mastered a political situation where they must dominate every level of politics and governance. Jackson Wabyoona, the FDC Chairperson for Hoima District who also serves as a Deputy Secretary in the FDC President's Office says it is time for the opposition to abscond from all political processes and programmes as their little efforts will yield little if not nothing. “For example the minority opposition in Parliament will not help the opposition in its quest to push for reforms. I would urge opposition MPs who were elected to withdraw and leave Parliament to the NRM to enable it to pass whatever it wishes,” he says. Prof. Jean Barya, a Senior Lecturer at Makerere's Faculty of Law says the lack of a strong opposition in Uganda will mean the ruling party will not benefit from the checks and balances especially in Parliament where everything the Executive proposes will be passed by the majority NRM MPs. "These checks and balances ensure good governance as the excesses of the government can be kept in check and guidance offered for better management of the country's affairs," Prof. Barya says. But NRM Secretary General Amama Mbabazi says the party and the President cannot go off radar since they must meet the contract they made with people who elected them through the party' manifesto. "We are a people's government, elected because of our past good performance and because of what we have promised to do for Ugandans. We have to continue doing our best to maintain the trust and support of Ugandans," Mbabazi says. Whichever way you look at it, the 2011 election has stamped the NRM dominance on Uganda's politics, the means not withstanding. With oil production expected to start in two years, the huge oil revenues if well handled will give the NRM more capacity both to remain in power and to deliver on the many needs of Ugandans across the country. But how this is done, and how the opposition manages to find more compelling alternatives in both leaders, political programs and tactics will determine which tide Uganda's politics will take and how the country ultimately fairs.